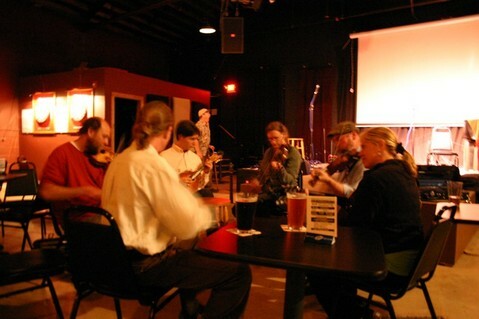 If you are looking to learn mandolin, and you live within driving distance of Asheville, NC, look no farther. At the White Horse in Black Mountain, NC. I offer Mandolin Lessons for the beginner to intermediate player. I have dabbled a bit in Old Time Mandolin and can also teach the aspiring Old Time Mandolin player up to the intermediate level. If you are looking to play well with other musicians, have a good time exploring your instrument and learning to express your self, contact me at AshevilleRyan@rocketmail.com. PS- Please also feel free to inquire about the possibility of lessons in Octave Mandolin, Medieval Music, and Other Ethnic styles. There is a nice gathering just down the road called the Swannanoa Gathering in Black Mountain, NC. They have great classes, camps and workshops throughout the summer. I’m sure somebody knows that tune! I’ll see I can get to that one in a week or two. You can subscribe to this blog, and get updates when they are posted. Or just check back in a few weeks. Hi Michel… I just added the tab for cup of tea. Here’s one of your videos from Jack of the wood! I was pleased to see your offering of the PDF for 25 Celtic tunes. Just what I need; a good, manageable intro. I am unfamiliar with many of them so I looked on YouTube and discovered that they all are quite popular. I was wondering if I could get a collection of MP3s for those tunes so I could work them up to speed on my iPad.. As it is, I have to search out each one individually. And sorry, I can’t take lessons; Pittsburgh is a bit too far of a drive. there is always Skype! I’ll be posting more tabs soon, and hopefully some nice videos. stay tuned. How much do you recommend the Skype method? I am in Miami and no teachers around here. But I was wondering if Skype was more frustration than enlightenment? It depends on your current skill level. It would be good for someone just past beginner and above I feel. I play Bluegrass Mandolin and play some fiddle tunes. How important is pick direction? For jigs like Swallow Tail, would you always use the Down Up Down picking Pattern? I typically use the down up down up pattern, however, I started playing music on guitar, playing blues and rock, so I’m not too picky as long as you can play it well and it sounds right. I’m more particular about the d u d d u d patter when playing rhythm, but as far as melody, I’m not a traditionalist, and just like to get the job done.